Is it just me or is “marketing attribution” the new buzzword? Everywhere I look I seem to see blog posts, event speakers, podcasts, whitepapers, webinars, etc, on attribution. 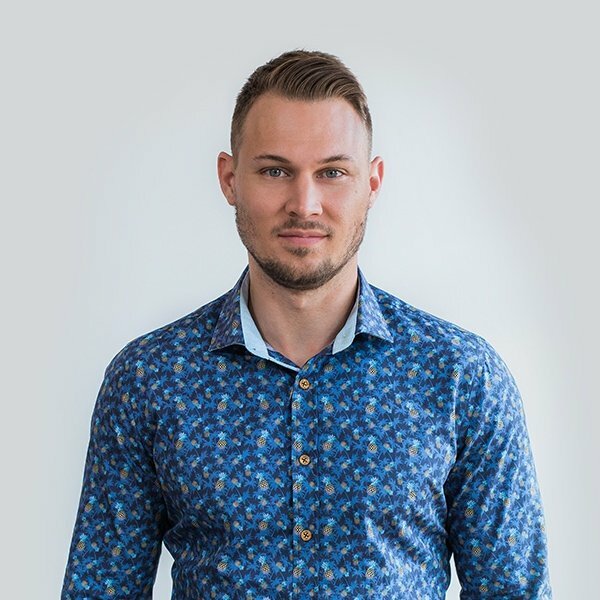 This is, of course, a good thing: it is 2018 after all and as an inbound marketing agency it’s our job to pay attention to the full customer journey. And even if attribution has been important for a long time already, we’re glad it’s becoming more mainstream. The easiest way to define it is the act of assigning the right value to marketing touchpoints that a prospect encountered before they became a lead or customer. Every marketing activity, channel, network, keyword, piece of content, etc, serve a different purpose and need to be measured correctly to understand their true performance. More and more platforms are offering powerful attribution reporting so that you can better understand your customer’s journey. This helps you understand the content, marketing channels, conversion paths, frequencies, and more that leads to a conversion and sale. But those reports might seem confusing or daunting at first, so we’re going to take you for a beginners tour. For those that are still new to marketing attribution, this post is for you. We’ll dive into 4 mainstream platforms and show how you can easily access super valuable insights in each with attribution reports, and what you can use those insights for. Top Channel Combos - The percentage of conversion paths that include combinations of your digital marketing channels. Assisted Conversions - The amount of assisted conversions per marketing channel. You can learn more about assisted conversions here. Top Conversion Paths - See all of the conversion paths your visitors took before converting, and quickly identify the top paths. See which channels work best together to produce results, and optimize your marketing campaigns accordingly. Inbound marketing puts a strong focus on understanding your customer’s journey, and this is a great report to help you do just that. Google Analytics attribution helps you view and measure the effectiveness of each marketing channel in a way that suits the role they play. Using the Model Comparison Tool, you can compare how their performance would differ under the other attribution models. Google Analytics Attribution & Multi Channel reports help you better understand the different roles your marketing channels play, and measure their effectiveness within that role. For example, perhaps you thought email was a poorly performing channel because it does not lead to conversions under the default Last Click Attribution model, or the First Interaction model. However, after looking at the conversion paths report, you notice it’s showing in the middle of several of your top conversion paths. You could then decide that a Linear attribution model is likely better to measure its performance. Some of Adwords best reports are hidden away where many advertisers don’t tend to explore often. The Tools > Attribution section can be one of those areas, but once you see the value you’ll love these reports. The first section in the Adwords Attribution reporting is for accounts that have multiple conversions set up. Here you can attribute your total conversions to the top conversion events. This is obviously important to know which goals are being met, and which aren’t and is especially critical if some goals have a higher value than others. You can also do the same with assisted conversions! I’m going to be honest, I didn’t know about this Google Adwords Attribution report for a long time. But it’s been a favourite of mine now for years. 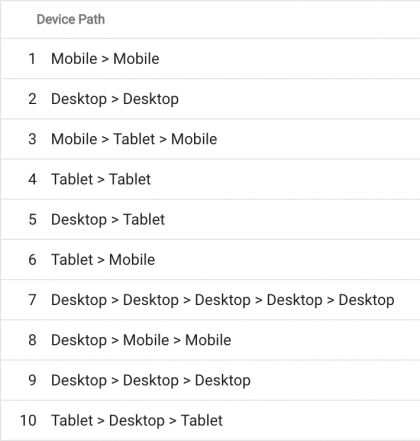 The Cross Device reports let you see your conversions and assisted conversions that involved multiple devices. This is great, but what I really love about this section is that it also allows you to view the device paths that lead to a conversion happening, similar to conversion paths in analytics, but with devices instead of marketing channels. This is very useful in evaluating device performance, and I always make sure to check this before making device bid adjustments (e.g. nuking Tablets). 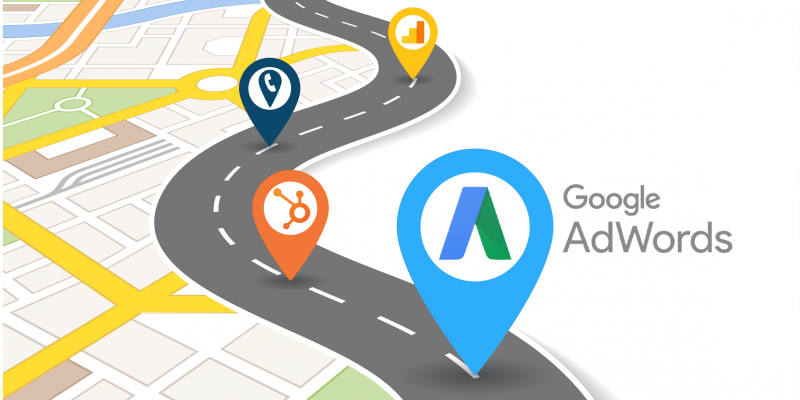 The paths section in Adwords Attribution reports shows you the top paths of your Adwords campaigns your visitors took on their journey to a conversion. You can view this report for all conversions, or view paths for each individual conversion event. 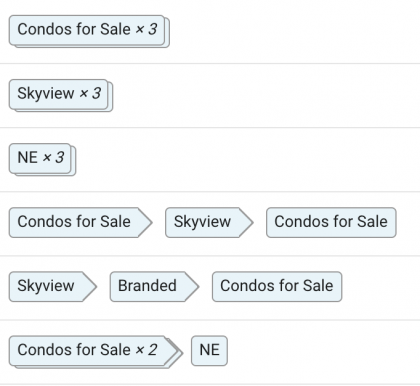 You can also break this down to Campaign Paths, Ad Group Paths, and even Keyword Paths. Just like conversion paths in Google Analytics, you’ll get a nice visual representation of your top paths. This report allows you to compare conversions and cost per conversion for the different attribution models in Adwords side by side. If you’re used to just using the standard last click model, this will be important for you to explore, especially if you’re running Display or any networks other than Search. Each case is different, but the default last click model can be a poor way to measure networks that drive top of funnel traffic. We couldn’t leave out the world’s top inbound marketing platform. HubSpot Attribution reporting is simple to use and provides high-value data. Unlike the previous platforms discussed, you have to manually build attribution reports in HubSpot. This is to make sure you’re reporting on just what you want to see, and luckily it only takes a minute. URL - For reporting on the pages/content on your website that contributed to a conversion. Referrer - The referring websites that contributed to a conversion. Source - Marketing channels that contributed to a conversion (contact being created). This is where you can choose to report on all sources, or get into some of HubSpot’s attribution models (first touch, last touch, first and last touch, simple decay). Once the report is run, you can toggle the top bar graph through contact assists, contact assist percentage, and attribution score. In the bottom table, you can view the list of URL’s, referrers, or sources depending on the type of report that you ran. These reports only take seconds to generate and you can edit a report at any time. One thing we should mention, however, is that you need to be on an Enterprise membership in order to view the “Source” HubSpot attribution reports. That’s right, even if you’re paying big bucks to be on the Pro version, you’ll still be very limited in these inbound marketing attribution (which in our opinion is kinda cheap of HubSpot). Often times, multiple visits happen before a visitor actually calls a business. Thanks to the Callers Timeline feature, when a visitor finally converts and calls you, you’ll be able to see all of the past interactions that occurred before the actual call. This will automatically include referring URL’s, marketing source, and even the keywords. And then finally makes a call, you’ll be able to see all of this history right from the call attribution reports in your Caller’s Timeline. This provides context on each contacts journey. Located in Reports > Acquisition > Call Attribution, you can access some really simple yet powerful data. We love how well these attribution reports are laid out and how easy they are to manage and configure on the fly. In the top portion, you can choose whether to group by keywords, campaign, referring page or landing page. You can also choose to attribute by first interaction, last interaction or all interactions. For this example, let’s say we chose to group by keywords - this will show you the top keywords that are driving calls! This not only helps you view the keywords that are driving the most calls but also helps you identify the quality of the calls. For instance, you may be getting a ton of phone calls from a particular paid keyword, but if the average call duration is significantly lower than average, it could be a sign that keyword is sending poor quality leads. 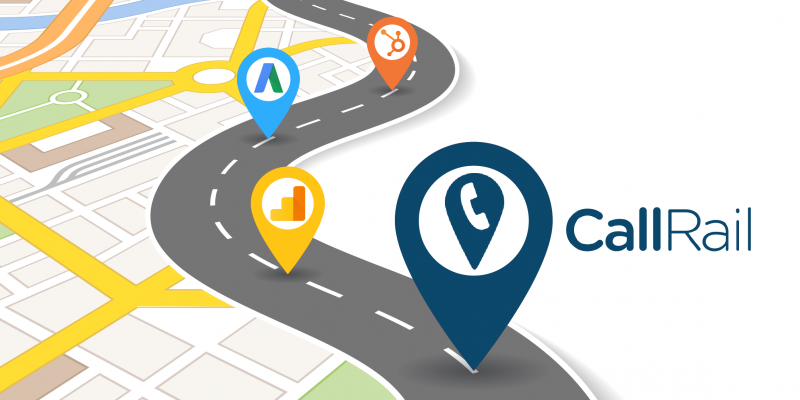 Call Attribution lets you know exactly what users are searching for, and helps you identify your most profitable marketing sources & keywords, as well as underperforming elements that are wasting your marketing dollars. This can really help boost efficiency and results from your inbound marketing efforts: Are you starting to wonder how you ever lived without this? So there’s your beginner’s primer on marketing attribution. We hope you’re excited to put this into practical use for your business. Need a hand? We’d love to help you get started!